SUN-GAZETTE FILE PHOTO Loyalsock’s Gerald Ross goes up for a layup against Mount Carmel during a game this year. Ross was named the Sun-Gazette Player of the Year in boys basketball. Creating separate tournaments for non-boundary and traditional boundary schools was addressed last week, but there are two more items on a basketball wish list this reporter would love seeing come true by next winter. 1.) District 4 letting people know in advance what night certain classifications will be holding their games: While who plays who in districts will not be known until the regular season’s final day, District 4 can alert fans well in advance on what night certain classes will be holding their quarterfinals, semifinals and finals. District 2 does this as do some other districts. It would make planning for all following the tournaments easier. 2.) PIAA adopting a shot clock: Dear God, please give PIAA the common sense to finally get with the 21st century and adopt a shot clock like the majority of the states do. No more teams holding the ball for minutes at a time. And don’t give me the “well play defense” argument. Teams can tenaciously defend for a long time and still not get the ball back. Why punish them for defending so well for 30-45 seconds at a time. Stop hurting players who will play at the next level and help them grow accustomed to playing basketball in a modern-day setting. Enough ranting, on with the 2019 Sun-Gazette Boys Basketball Awards. Second runner-up–Mike Kirby, St. John Neumann and Todd Outman, Wellsboro: Both coaches helped their programs build on their winning traditions as both finished as district runners-up and reached states. 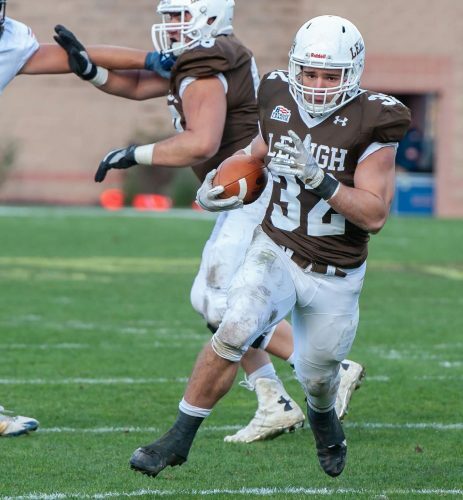 Kirby helped Neumann capture a seventh straight Mid-Penn championship, reach the second round of states for a seventh time in nine years and win 20 games despite encountering season-long adversity and a schedule that included games against 10 state qualifiers during the regular season. Outman helped Wellsboro finish as District 4 Class AAA runner-up a year after losing four good starters. The Green Hornets made huge strides throughout the season, winning 23 games, finishing undefeated in NTL play and overpowering two HAC-III opponents en route to the district final. First runner-up–Ron Insinger, Loyalsock: This basically was a photo finish between the top two contenders, but the state’s all-time wins leader will settle for runner-up after helping Loyalsock go 27-2, capture both the Heartland Conference and District 4 Class AAA championships and reach the state tournament’s second round. Expectations were high entering the season and Insinger helped the Lancers live up to them as they won 20 straight games entering the state tournament’s second round. Insinger became Pennsylvania’s first coach to win 1,000 games, doing so in January and finished his 45th season with his 22nd district championship and 1,013 victories. And the winner is … Mike Mussina, Montoursville: In the same year he earns induction into Major League Baseball’s Hall of Fame, Mussina takes Coach of the Year honors for a second straight year. And for a second consecutive season, Mussina helped a Montoursville team that had to replace four starters reach the Class AAAA state tournament and win 19 games. Montoursville won the program’s first district title since 1985 a year ago, but was expected to take a big step back this season. Instead, the Warriors progressed throughout the season, reached their first Heartland Conference tournament and stunned Class AAAA champion Danville in the semifinals, 61-57, becoming the only District 4 team this season to beat it. The Warriors, who started three sophomores down the stretch, did all this with just one senior starter. The back to back state tournament appearances are the first for the program since the early 1980s. The future looks mighty bright, too. David Hill, St. John Neumann: Maryland watched Hill play in his final game this season, competing against Sankofa in the second round of the Class A state tournament. The sophomore guard showed why he is receiving such college interest throughout the season, earning Mid-Penn first team all-star honors and helped Neumann win 20 games against a difficult schedule. Hill made a run at the area scoring title, averaging 20 points per game and also became a more well-rounded player in his first full season as a starter. Hill averaged 6.4 rebounds per game and also consistently recorded multiple steals and assists. Hill is outstanding off the dribble, has improved as a shooter and can beat defenses in multiple ways. He topped 30 points three times, scoring a career-high 35 while adding 11 rebounds and four steals in a 71-66 overtime win against NTL Tournament champion North Penn-Mansfield. Hill also carved up Galeton in the district semifinals, scoring 28 points, grabbing 8 rebounds and adding 4 assists. Nate Ewing, Jersey Shore: Last year, Ewing burst onto the scene and this year he established himself as one of the district’s most explosive players. The junior guard won the area scoring title, averaging 21.8 points per game. Ewing topped 30 points four times and scored an area-high 36 points in Jersey Shore’s regular-season finale against Selinsgrove, tying the program record for 3-pointers in a game (7). He also produced 31 points and 8 rebounds in a win against District 4 Class AAAA finalist Shamokin. Ewing already entered the season as one of the area’s best shooters and drained 61 3-pointers, but he became lethal off the dribble and a more well-rounded threat. Ewing also improved in all other areas and averaged 4.9 rebounds, 2.2 steals and 1.9 assists per game. A first team HAC-I all-star, Ewing is one of several quality players returning next season and could help Jersey Shore take a big step forward in 2020. Connor Watkins, Loyalsock: A true jack of all trades, Watkins did whatever Loyalsock asked and might have been the team’s most indispensable player. An excellent post player who also had a nice mid-range jumper, Watkins averaged 11.3 points, 8 rebounds and 5.5 assists per game, helping the Lancers romp to a district championship. Watkins was happy to feed the team’s other weapon and played the swiss-army knife role well, also excelling defensively and averaging an area-best four steals per game. Tough to stop down low, Watkins made 59 percent of his shots and was at his best in the postseason when he stuffed the stat sheet almost every game. Watkins recorded three playoff double-doubles and was a rebound away in two other games from having five. An outstanding leader and HAC-II first team all-star, Watkins capped his big season with a 20-point, 9-rebound performance against state semifinalist Bishop McDevitt. He unloaded his entire arsenal in the district final against Wellsboro, scoring 10 points, grabbing 7 rebounds, dealing 6 assists and making 8 steals. Collin Jones, Central Mountain: Lebanon Valley is getting an outstanding player after Jones ended his scholastic career by earning HAC-I MVP honors for a second consecutive season. A player who can seemingly play any position, Jones was a force in so many areas and put together his best season. The 6-foot-4 forward averaged 18.4 points, 9.4 rebounds and 2.7 assists per game, doing all he could to help a young team flourish. A good shooter who runs the floor like a guard, Jones was consistently a tough matchup. He also was a significant defensive presence, averaging 2.9 steals and 1.6 blocks per game. Jones recorded 12 double-doubles, including seven in his final eight games. He helped will Central Mountain to a midseason win at Jersey Shore, scoring 30 points and grabbing 15 rebounds. Jones also helped the Wildcats throw a serious scare into Williamsport last month when he scored 28 points, pulled down 11 rebounds and made three steals. Brandyn Tuttle, Wellsboro: Tuttle is the runner-up for Sun-Gazette Player of the Year and one of the best Wellsboro has produced in the 2000s. The 6-3 senior forward was a workhorse, willing he and his teammates to another league title, 23 wins and a state tournament appearance. Tuttle was unstoppable at times inside, but also improved his shooting and drained 35 3-pointers. Despite not becoming a starter until his junior season, Tuttle topped 1,000 career points and 700 rebounds, recording 939 points and 627 rebounds in the last two years alone. The double-double has been Tuttle’s calling card the last two seasons and he recorded 20 more this year, giving him 39 over the past two seasons. Tuttle averaged 18.3 points, 11.2 rebounds and 2.3 assists per game. He also was a key part of Wellsboro’s stingy defense, averaging 2.2 steals and 1.1 blocks per game. Tuttle was at his best in a district semifinal win against Mount Carmel, scoring 23 points, grabbing 11 rebounds, dealing 5 assists and making 7 steals. His work ethic is one that will benefit future Wellsboro players who try emulating it. Gerald Ross, Loyalsock: He ended last season as the area’s best player and Ross protected that title all season while enhancing his already impressive legacy. Ross earns Sun-Gazette Player of the Year for a second straight year after helping Loyalsock win more games in a season than at any point in the 2000s. The four-year starter was outstanding in all areas once again, consistently shredding defenses designed to slow him. Ross averaged 18.2 points per game, scoring in just about any way imaginable. An excellent ball-handler who could also light it up outside, Ross not only scored a lot, but opened up opportunities for others, averaging three assists and five rebounds per game. Ross also was skillful at disrupting opposing offenses and matched Watkins by averaging an area-best four steals per game. Ross often was at his best in Loyalsock’s biggest games and the two-time HAC-II MVP scored at least 17 points in five of Loyalsock’s six postseason wins. He also grabbed nine rebounds, blocked four shots and calmly sank both ends of a 1-and-1 in the final seconds of a thrilling 59-57 district semifinal win against Central Columbia. Ross was an all-state selection last season and it would be shocking if he did not earn that honor again. Loyalsock is one of the state’s more storied programs and Ross’s 1,702 career points are third in its history. That says a lot, right there. Jayden Andrews, North Penn-Mansfield: A constant presence, Andrews often harassed guards and was adept at forcing turnovers. A hard-working point guard, Andrews made 3.5 steals per game and also helped the Tigers offense go. Andrews averaged 6 points, 5.3 assists and 3.1 rebounds per game as North Penn-Mansfield won 18 games and an NTL Tournament championship. Justus Leighow, Hughesville: A junior forward who provided Hughesville’s defensive glue, Leighow became one of the area’s most versatile and tenacious defenders. Leighow frequently stifled or slowed the opponent’s best player, performing well against Tuttle, Sinibaldi and Southern Columbia’s Julian Fleming, among others. Just as important, the first team HAC-III Defensive All-Star guarded all five positions and could be used wherever Hughesville needed them. Andrew Brelo, Wellsboro: At the heart of Wellsboro’s swarming defense was Brelo, an athletic and smart defender who often clogged passing lanes. Brelo also was outstanding on the ball and averaged 2.8 steals per game while earning NTL-I first team honors. Wellsboro led the area in points allowed and that would not have happened without Brelo who embraced his defensive role well the past three seasons. He also came on strong offensively, averaging 12 points and 2.1 assists per game. Dylan Meyer, North Penn-Mansfield: What Andrews was against guards, Meyer was inside. Similar to Tuttle, Meyer made a big impact on both ends of the court and frequently slowed opponent’s inside production. Meyer earned NTL-I Defensive Player of the Year honors and his defense against Tuttle helped North Penn-Mansfield win the NTL championship. He also averaged 17.3 points, 10.0 rebounds and 2.0 steals per game while recording 11 double-doubles. Jaiden Cioffi, St. John Neumann: Similar to Leighow, Cioffi could guard just about any position and was Neumann’s defensive stopper. The three-year starter shined against outstanding offensive players throughout the season and always seemed to be in the right place at the right time. Neumann would not have sniffed the state tournament without Cioffi who stuffed the stat sheet nearly every game, averaging 11.1 points, 8.2 rebounds, 2 steals and 1.1 blocks per game while earning first team Mid-Penn all-star honors. Bam Brima, Loyalsock: Opponents dreaded seeing Brima on the court because he so often disrupted what they planned and made scoring a difficult task. The 6-foot-5 Pittsburgh-bound defensive end played Loyalsock’s defensive quarterback, effectively communicating and making sure his teammates were in the right place. Brima was to the Loyalsock defense what Ross was to its offense and could take over a game without scoring a point. Smart and explosive, Brima averaged 3 steals and 1.3 blocks per game while drawing 9 charges. He also evolved offensively, averaging 5.8 points, 7 rebounds and 2 assists per game. Second runner-up–Jalen Thomas, Sullivan County and Ahmir Ellzy, Williamsport: Thomas showed promise as a freshman a year ago and is part of an exciting young core that could help Sullivan County remain a district title contender next season. A strong defender, Thomas averaged 6.9 points, 2.8 assists, 2.4 steals and 2.0 rebounds per game and can beat defenders from outside or off the dribble. Speaking of players that can do those things, Ellzy emerged as one of the area’s more exciting players. The junior point guard could be one of the district’s premier players next season if he builds off this breakout campaign in which he averaged 10.8 points, 5.9 assists and 5.0 rebounds per game. Ellzy sees the court well and is one of the fastest guards around. He also has a nice shot and made a run at a triple-double in a late-season win at Montoursville. First runner-up–Dillon Young, Montoursville: This sophomore point guard shares several of the qualities that make Ellzy so dangerous and could be really strong the next two seasons. Young is an electric playmaker who kept getting better and who averaged 8.4 points, 4.2 rebounds and 3.3 assists per game. He scored a career-high 19 points off the bench in an early-season win at Central Columbia, helping the Warriors overcome a 17-point third-quarter deficit in a turning point win. He can score in a lot of ways, is unselfish and helped ignite another double-digit comeback in a state tournament-clinching win against Mifflinburg. And the winner is … Ethan Laudenslager, South Williamsport: The Mounties lose some outstanding players from a team that made a 7-win improvement, but Laudenslager gives them a nice foundation to build upon. The junior point guard effectively ran a dangerous offense and also made a defensive impact as South won its first playoff game in seven years and finished a victory shy of reaching states for the first time since 2003. Laudenslager is tough off the dribble and has some nice moves when he gets inside. The two-year starter does a nice job getting his teammates involved and averaged an area-high 6 assists per game in addition to 8 points and 6 rebounds. 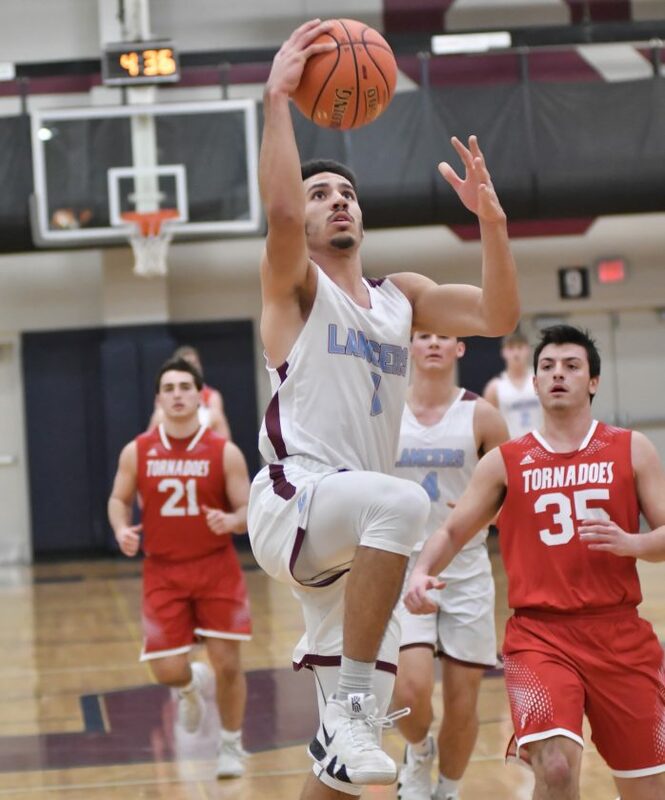 Loyalsock 83, Williamsport 78 (OT): This game is eagerly-anticipated every year and for a second straight season, these rivals produced an overtime classic. Williamsport erased an 11-point third-quarter deficit and forced overtime by rallying from four down. Nassir Jones hit both ends of a 1-and-1 with 6.8 seconds left and Williamsport took a brief overtime lead in front of a packed Magic Dome crowd before Ross and Aiden Gair took over. Those two combined to score 62 points, including all nine in overtime as Loyalsock snapped a four-game losing streak against the Millionaires. Ross scored a career-high 34 points, Gair added 28 and made his last six shots from the field, five being 3-pointers, over the game’s final 16 minutes.